Here’s the band performing the tune “Bros.” Check out the dude that goes on stage and starts dancing… no, that’s not me. GoINDEEpMusic will be out at the Soda Bar in San Diego tonight to check out the North London quartet Wolf Alice. The band will be introducing music off their forthcoming debut full-length My Love Is Cool, scheduled for a June 23 release date. Gateway Drugs, which recently finished up a supporting spot on Swervedriver’s North American tour, will be the opening act tonight. Doors are at 8:30 Pacific Time. 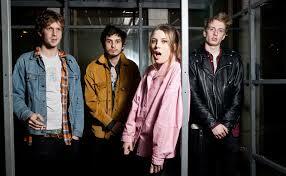 For a closer look at Wolf Alice, check out my Artist Spotlight post.